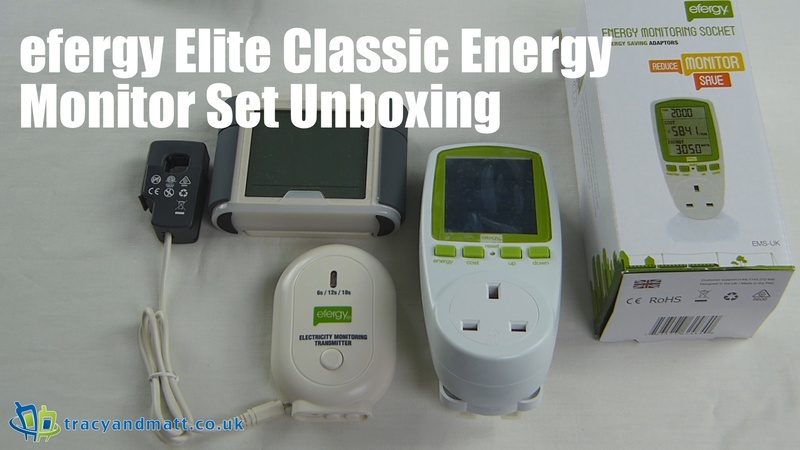 Gareth has unboxed an efergy Elite Classic Energy Monitor Set for a challenge set by Moneysupermarket.com. Over the next month Gareth will be monitoring this electricity consumption and attempting to make a saving by comparing his results online. In this video Gareth opens up the Elite Classic 3.0 In-Home Energy Monitor and one of two EMS 2.0 In-Home Energy Monitors. With these devices Gareth hopes to get a handle on his energy consumption, and perhaps identify a better tariff. To compliment the challenge we will be linking to content with some tips for consumers on the MoneySuperMarket.com website. Energy comsumption is something that is always at the back of our minds. We hear stories of how leaving your TV on standby contributes a little extra to your energy bill over the course of the month. I am just a guilty as the next man for thinking that it cannot be that much and the hassle of actually turning it off at the wall is more than worth the cost. When Moneysupermarket.com contacted me with the opportunity of actually seeing the impact these little indecresions had on my electricity bill I had to admit it might be time well spent. An important factor is that I do not come under the standard “Big Six” on the mainland. England has a dizzying variety of energy providers and all I hear is horror stories of tariffs, confusion and contracts. Here is cosy Northern Ireland we have the “Big Two,” Power NI and Airtricity. At the moment I believe these companies offer only one tariff each and what you see is what you get. Over the next month I will investigate the options, tariffs and prices available and when the results of the study are revealed I may be asking some very simple questions to those companies about the findings.